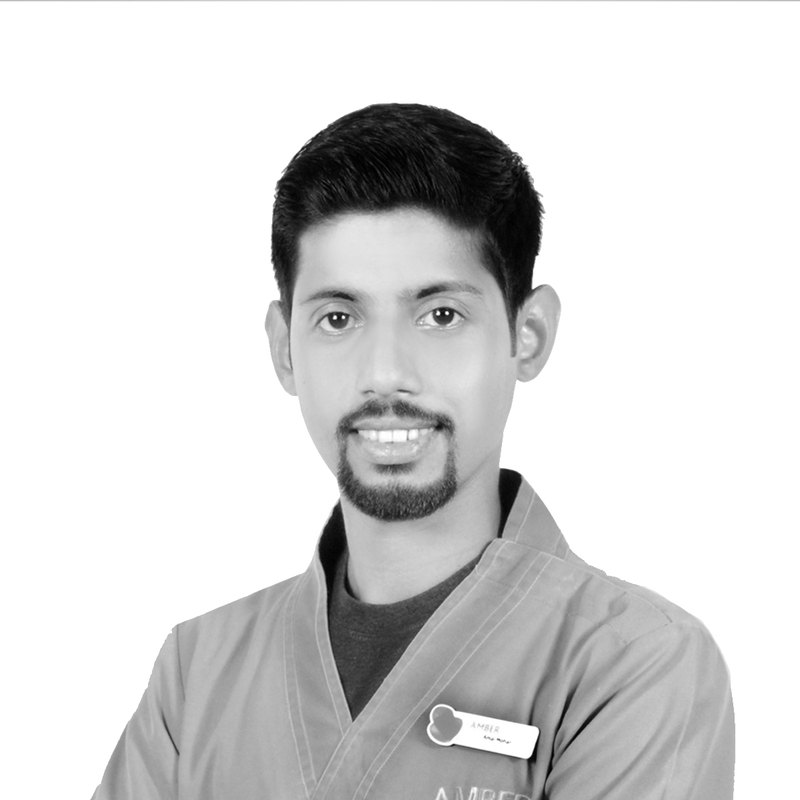 Amal Mohan completed his Bachelor’s in Physiotherapy from Mahatma Gandhi University, Little Flower Institute of Medical Sciences and Research, India in 2013. He has more than 5 years of experience in physiotherapy and rehabilitation including Neuro, Ortho and Arthroplasty rehabilitation. He is trained extensively in a number of key procedures such as Pre and post-operative rehabilitation in arthroscopic surgeries and joint replacement surgeries. His key areas of expertise include Rehabilitation in orthopaedic surgeries, Post traumatic stiffness management, Sports injuries management, Shoulder rehabilitation, Rehabilitation of musculoskeletal cases, Spine dysfunctions management, hand and tendon injury rehabilitation.